Here's what you do, Tuesday, July 31, 2012. To the Arctic. The film playing at the Fernbank Museum at 1, Tuesday afternoon. Tuesday is Fernbank Natural History Museum day. Take in the museum exhibits in the morning. Or, take a walk in the museums back yard at 11 on the family walking tour. Have lunch in the Museum cafe. Then, in the afternoon at 1, check out "To the Arctic," playing at the museum's IMAX theater. Fernbank has permanent and special exhibits and they range from Georgia history, to dinosaur skeletons in Giants of the Mesozoic, to Sensing Nature, which allows you to explore your own senses and how they work. There are many more exhibits to explore as well. Bring your curiosity. On Tuesdays and Thursdays in the summer, you can go on a guided tour of the museum's back yard to explore what nature has to offer. Take a break mid-day at the Museum cafe. A civilized and relaxed experience to get your strength up for IMAX. ($ - $35 per person, $28 for kids, includes general admission and movie). Fernbank has their own blog. Check it out here. Pick up a copy of Creative Loafing at breakfast and peruse. Second: Head on over to Fernbank. Start with the Giants of the Mesozoic and explore. Check out the Giants of the Mesozoic exhibit at Fernbank. Third: Lunch at Fernbank Cafe. Pleasant and civilized, try the Fernbank Cafe. It's got a great view of the Fernbank Forest Overlook. Set up a table, get a deli sandwich, and enjoy. ($ - $10 per person). "Swim alongside a polar bear and her cubs and discover a world beneath the ice where corals and odd creatures thrive. Fly above a thundering herd of caribou making their way to their calving ground then gaze across hundreds of miles of snow-bound peaks and floating ice in the Arctic Ocean." Fifth: Nap. Head on home and take a nap before dinner. Follow the perfect bed rules. 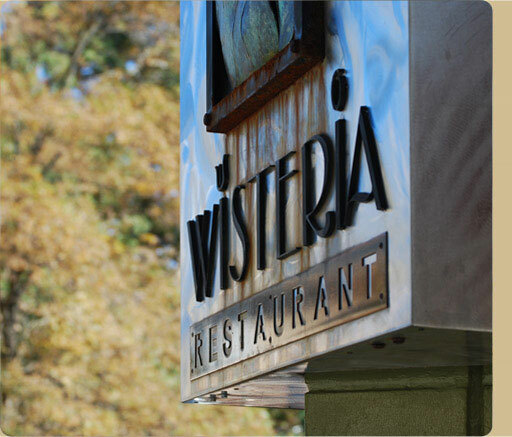 Finally: Head on over to Inman Park at 7 for dinner at Wisteria. 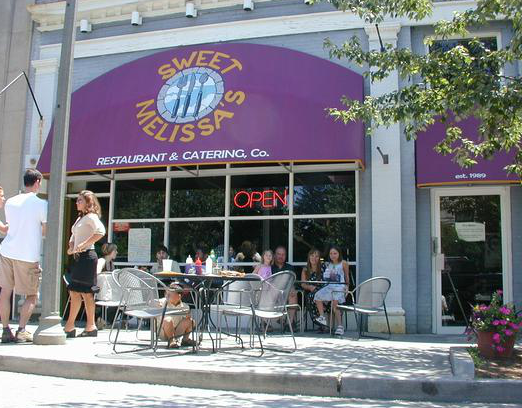 This gem on N. Highland brings excellent food and wine, wonderful service, and an interesting palette of local art to admire and purchase if you're moved. Chef Jason Hill focuses on contemporary American with a Southern flair. Try the Charleston-style crab cake for an appetizer, or the pimento cheese deviled eggs. For entree, try the shrimp and grits or the pork tenderloin. All very, very good. For wine, try a bottle of Stag's Leap "Hands of Time." Yum! They even have a pretty extensive gluten free menu. Wisteria is usually pretty busy, even on a Tuesday evening. So, your best bet is to call ahead and make a reservation. ($ - $50 per person).